ViaLiteHD is the latest generation of ViaLite RF over fiber technology. ViaLiteHD rack cards are compatible with all other ViaLite links including modules and ViaLite Classic cards and modules. However, ViaLiteHD rack cards do require a ViaLiteHD chassis. 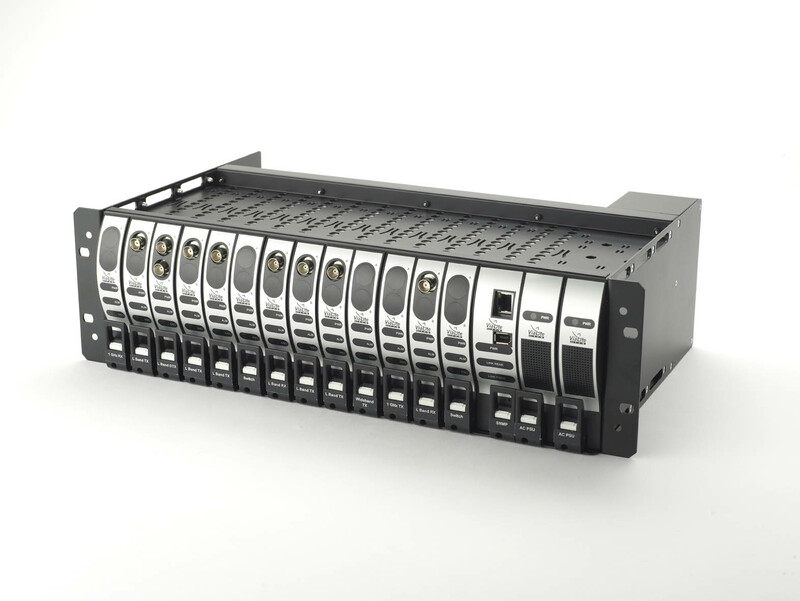 A ViaLiteHD rack chassis is equipped with two 100W dual redundant power supplies and either a summary alarm card or an SNMP network control module. Each ViaLiteHD chassis will accept up to 13 rack cards. Since dual cards are available in ViaLiteHD this means a single rack chassis can support up to 26 links.